Have you been thinking about putting in a swimming pool? Our advice is to plan well in advance. Start planning your backyard oasis today. Tell us a bit about your backyard dreams and we will provide you with a custom quote that best suites your expectations and needs. Get exactly what you want with custom design and shapes with custom residential swimming pool shapes and sizes. 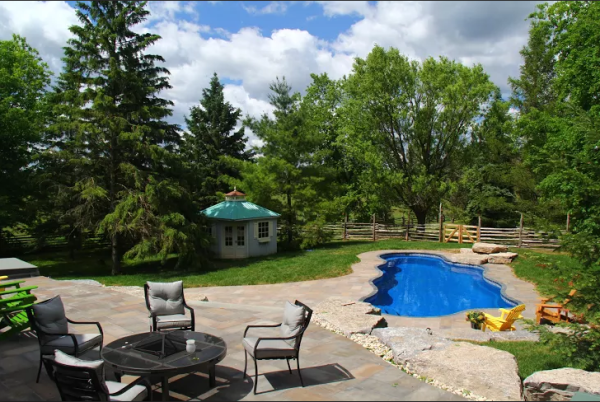 Swimming pools are not complete without custom landscaping. Integrate stunning natural elements into your landscape plan with the help of Bryan Pollock, design and botany expert. Think outside the box. 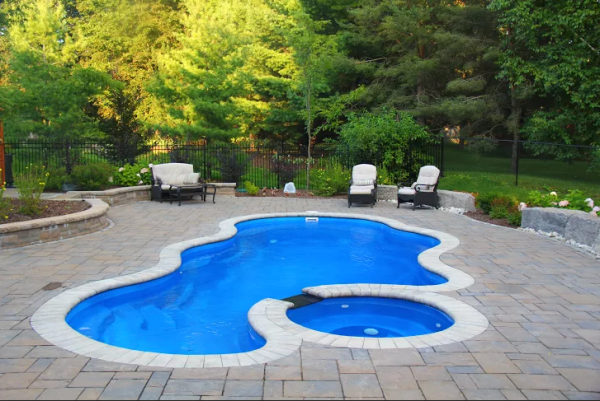 We will help you customize your backyard down to the little details like hemming your pool with a dark stone to accentuate it's unique beauty. 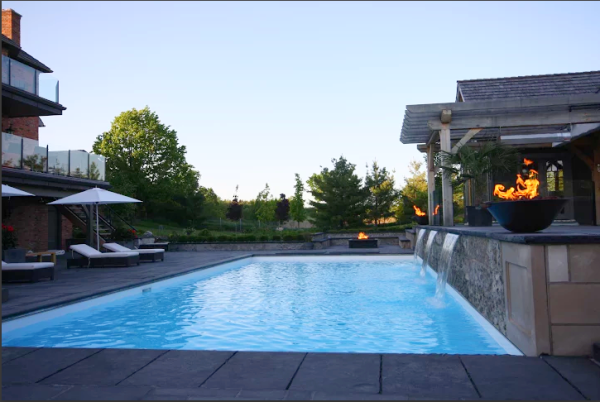 Complete with built in, in-ground hot tubs, we can do it all at Pollock Pools and spas. 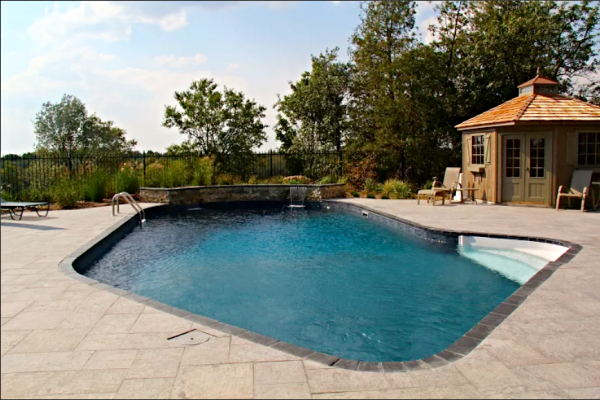 Our family buisness has been owned and operated for 30 years, Pollock Pools is an award winning business whose focus has always been to provide personal service, quality construction and custom design. 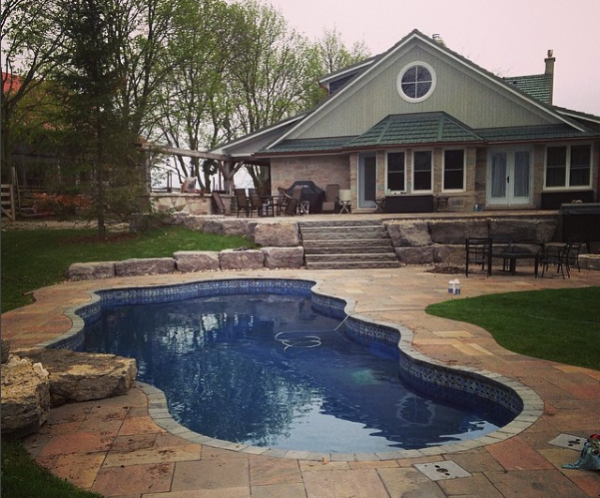 We specialize in custom, in-ground, concrete, vinyl-lined and fibreglass pools and are proud to be your local, certified Beachcomber Hottub dealer. Please stop by our retail location in Guelph, servicing Kitchener, Waterloo, Fergus, Elora, Rockwood, Cambridge and the surrounding areas. Recently expanding to service the Georgian Triangle! (Collingwood, Meaford, Thornbury and surrounding areas).